La Mercanti establishes a very nice and kind work relationship with Mr. Hashem Hassounah, Hashem Hassounah & Sons CEO. 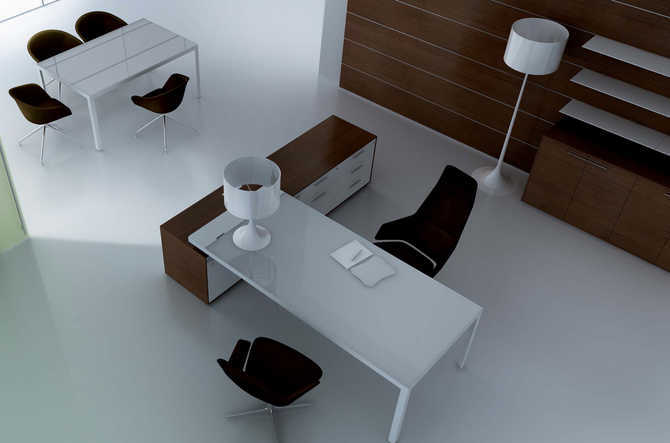 He decided for modern and design office furniture and complements. 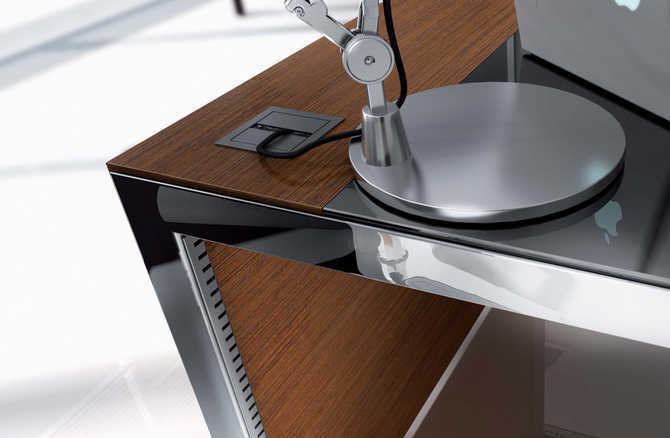 Goggle design desk with its rounded shapes and a rich selection of finishes and materials is a really innovative interpretation of the presidential office. This desk is able to mix functionality and elegance and Hashem chose the refined mat black for the inside and glossy black for the outside. For his offices he chose also the technological and modern office chairs Nulite by Luxy in leather upholstery black and white. To give a further touch of design, quality and innovation to his work environment Hashem chose some office complements about Danese brand: little tables, cushion seats and office conteiners. 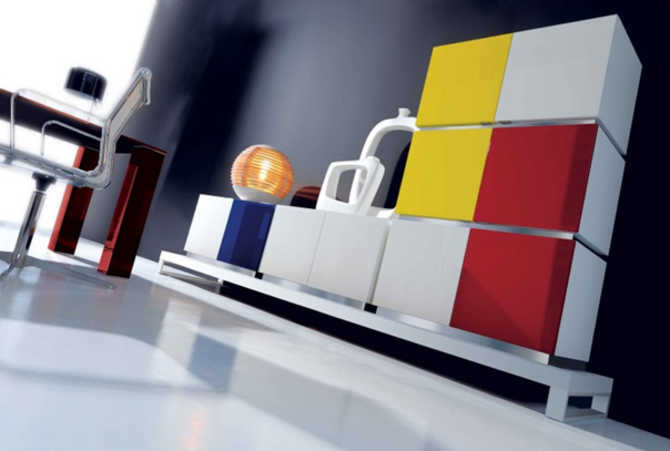 Not simple furniture for Hashem Hassounah but Design objects! Perin & Topan design, Quadro executive desk with luminosity and elegance distinguish Mr. Abu Khaled’s new office in Saudi Arabia. The Quadro executive range consists of sturdy glass-topped monochrome desk and markedly generous legs, making for a strong visual impact. From the strength of the colouring and the precise and essential design, Quadro innovative design creates a strong visual impact suitable for every executive office: it communicates professionalism and efficiency and puts people at ease whatever side of the desk they are seated at. LaMercanti planning has worked hard to create stylish and modern working environments that meet the client needs: Iponti executive office furniture and Sitland office chairs for the Bassam Al-Dhabaan project in Riyadh, Kingdom of Saudi Arabia. With design aim in mind the facility was designed to be bright and welcoming in the hope that it would encourage creativity and dialogue amongst the Bassam Al-Dhabaan staff. At LaMercanti our passion lies with creating a new business culture, providing the technology, office furniture and the surroundings required to enable business executives to change the way they work.